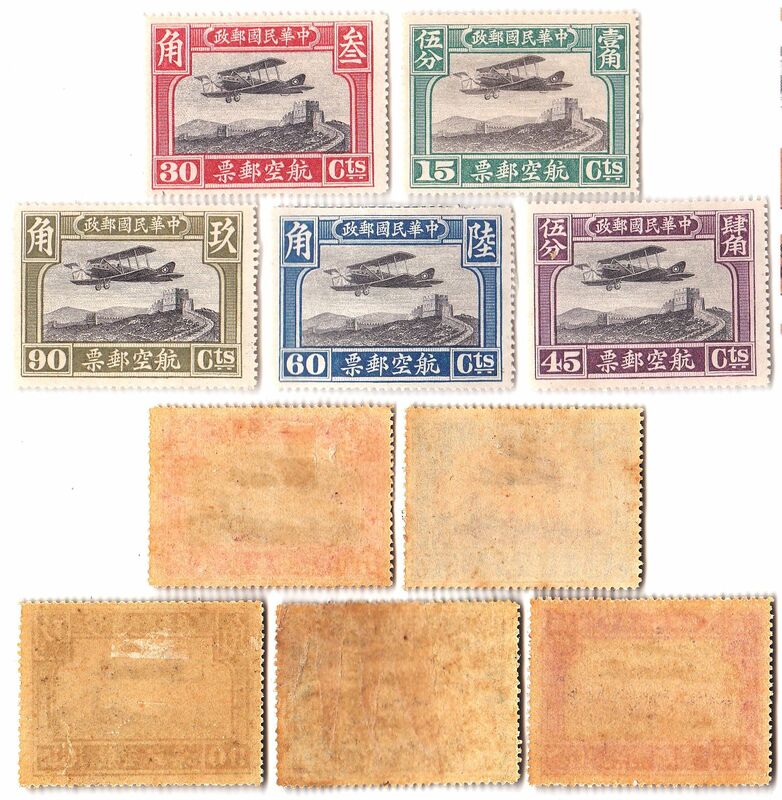 M1601, China First Air Stamps 5 Pcs, 1921 Curtiss "Jenny" over Great Wall. XF condition, unused, hinged. Without Watermark. Surcharged in 1921. Set of 5 Pcs. Scott Catalog: C1 to C5. 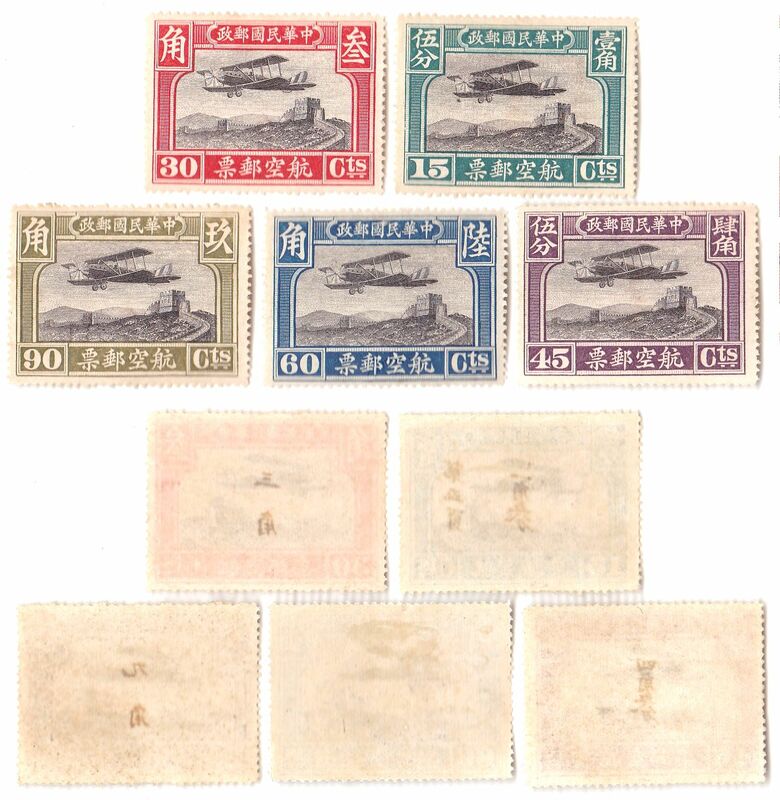 M1603, China Second Air Stamps 5 Pcs, 1929 Curtiss "Jenny"
M1603, China Second Air Stamps 5 Pcs, 1929 Curtiss "Jenny". XF condition, unused, hinged. Without Watermark. Surcharged in 1929. Set of 5 Pcs. 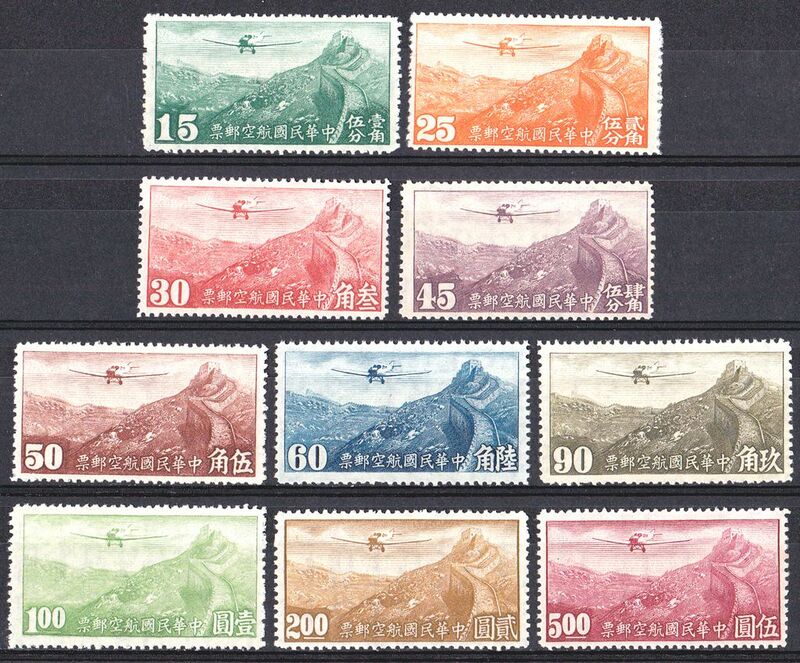 Scott Catalog: C6 to C10. 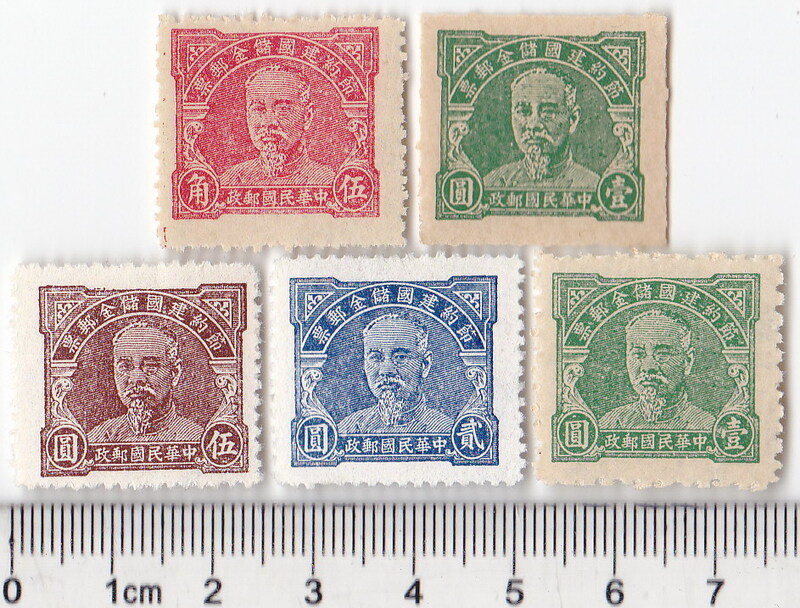 M1610, China Air Post Stamp 5 Pcs, 1946 Chongqing Surcharged, Watermark. XF condition, unused, hinged. With Watermark. Surcharged in 1946. Set of 5 Pcs. Scott Catalogue: C43 to C47. 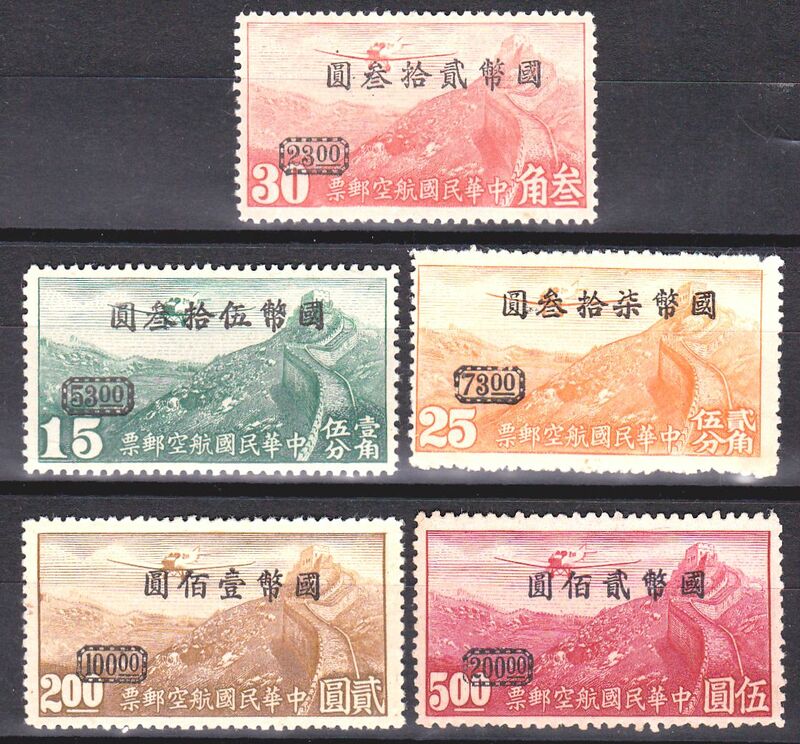 M1611, China Air Post Stamp 5 Pcs, 1946 Chongqing Surcharged, Without Watermark. XF condition, unused, hinged. Without Watermark. 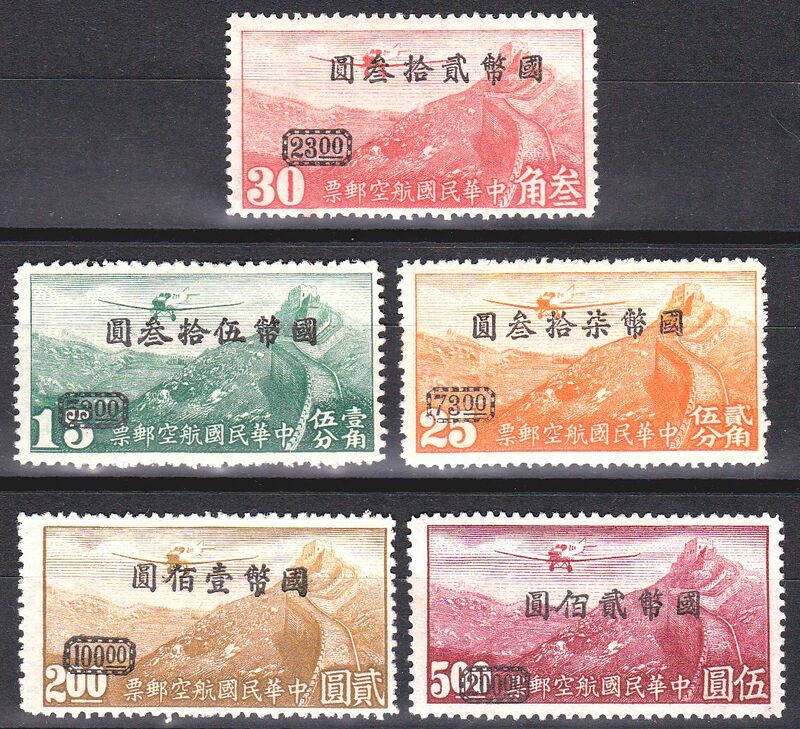 Surcharged in 1946. Set of 5 Pcs. Scott Catalog: C48 to C53. 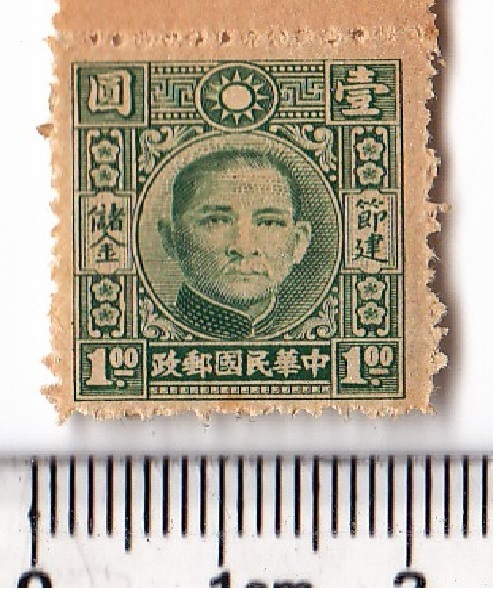 M1615, China Air Post Stamp 1 Pcs, 1946 Shanghai Print. XF condition, unused, without gum. Issued in Sep 10, 1946. Set of 1 Pcs. 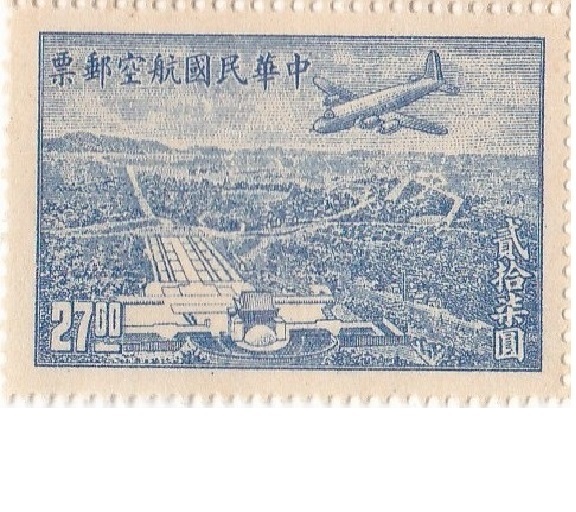 The picture is Douglas DC-4 over Sun Yat-sen Mausoleum in Nanking. Scott Catalogue: C53. 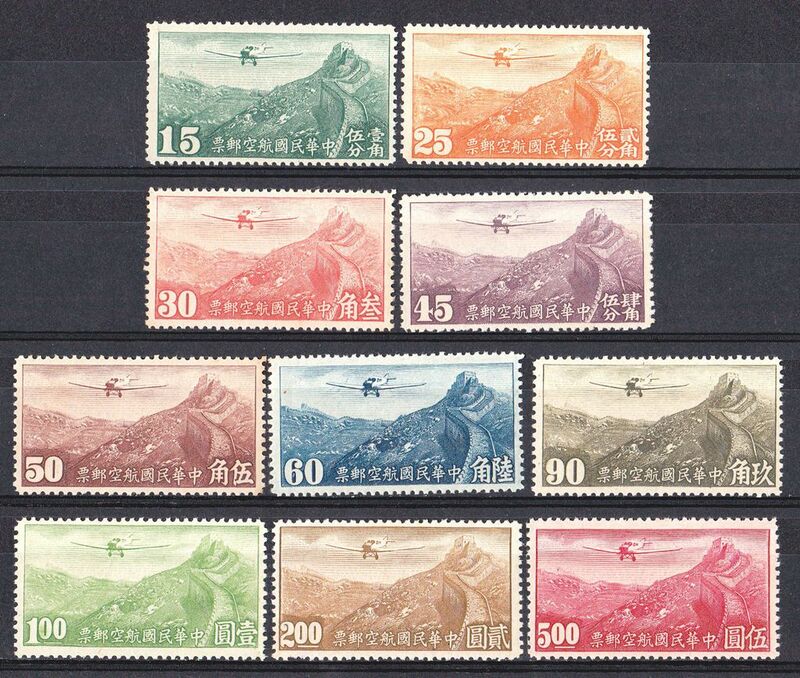 M1618, China Air Post Stamps 10 Pcs, 1940 Hong Kong Print, Without Watermark. XF condition, unused, Without Watermark. Ptinted in Hong Kong in 1940 during WWII. Set of 10 Pcs. Scott Catalog: C31 to C40. 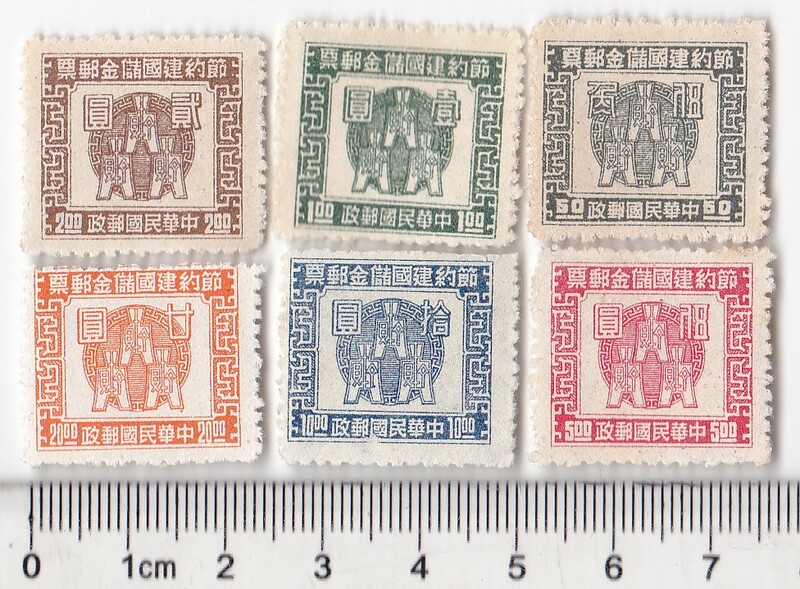 M1620, China Air Post Stamps 10 Pcs, 1940 Hong Kong Print, With Watermark. XF condition, unused, With Watermark. Ptinted in Hong Kong in 1940 during WWII. Set of 10 Pcs. Scott Catalog: C21 to C30.